24-hour forecast: Mostly cloudy with some showers, periods of rain and isolated thunderstorms affecting mainly the coast and sea this morning and tonight, then over inland and northern areas this afternoon. General Outlook: A few showers periods of rain and isolated thunderstorms will affect the south and coast Friday morning and night and inland and northern areas Friday afternoon. Today N-NE 5-15 kts Light Chop 1-2 ft SOME SHOWERS, PERIODS OF RAIN AND ISOLATED THUNDERSTORMS, DECREASING. Tonight E-NE 5-15 kts Choppy 2-3 ft A FEW SHOWERS, PERIODS OF RAIN AND ISOLATED THUNDERSTORMS. Tomorrow E-NE 5-15 kts Choppy 3-4 ft A FEW SHOWERS, PERIODS OF RAIN AND ISOLATED THUNDERSTORMS, DECREASING. Outlook E-NE 5-15 kts Choppy 3-4 ft A FEW SHOWERS AND ISOLATED THUNDERSTORMS. There are many swell-ups all along the coast from Panama up to Belize, this is causing significant rain, which is mainly out at sea. It is moving in with the easterly Caribbean wind, but not much still with it when it gets to land. 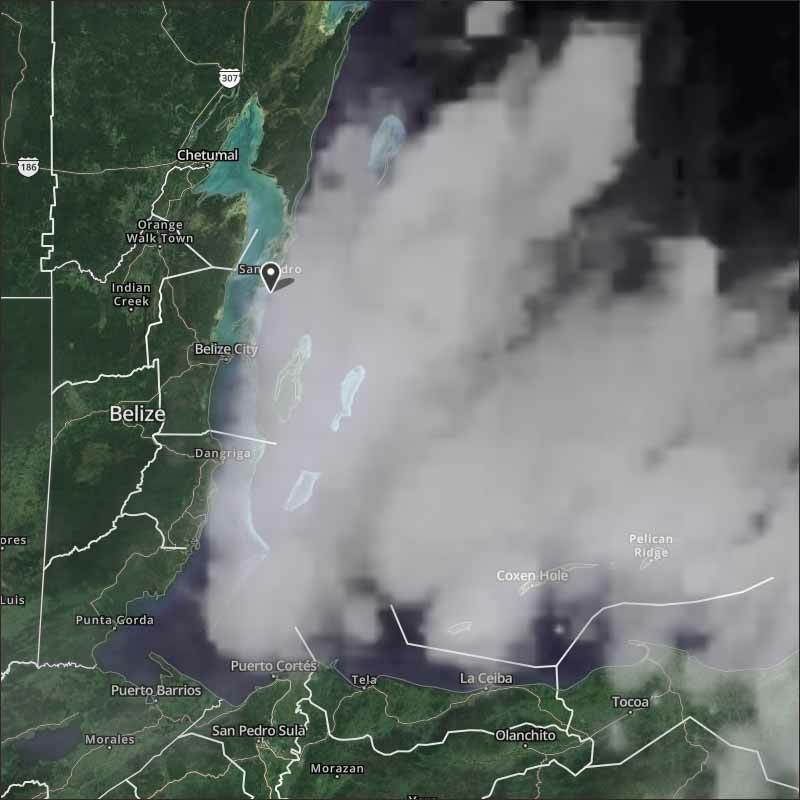 Looks like today will be a mixture of weak sun due high clouds, heavier clouds in parts and patches of rain. 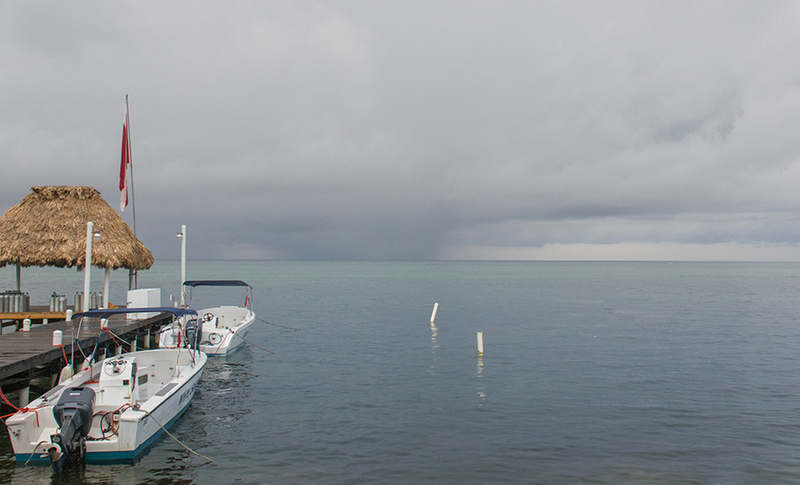 On Ambergris Caye this morning we have thunder and rain with a flat calm sea.